Riding “rollers” on a bicycle can be a thrill, especially when they are short and continuous. Because of this, they also translate very well into indoor cycling classes. But teaching rolling hills is more than just alternating a climb with a “downhill.” To coach them in an authentic way, it’s important to understand how a cyclist would approach them, how gravity will affect the speed of ascent, and how cyclists take the descent. Then you need to know how that can translate to a bike that doesn’t go anywhere and has a fixed drivetrain that doesn’t allow coasting. Let’s dive into how to coach rolling hills in a way that will get your riders to ask for them by name! Rolling hills are characterized by two or more successive short climbs interspersed with a downhill. 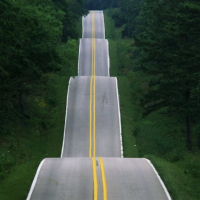 There may or may not be a flat section between the climbs. The road simply follows the terrain of the countryside, and like any hill in the real world, rollers can vary in length and steepness. Sometimes, as in these images, there are many in a row and it feels kind of like a roller coaster! Before I discuss how to authentically put together these short climbing intervals indoors and how to use the music to help define your ascents and descents, let’s discuss how they feel to an outdoor cyclist. We will start with the downhill first. Now, find one of your own favorite trance songs, listen to it with a pen and paper and note the timing of the breaks, the builds, the crescendos, and the releases to determine how you might turn it into rolling hills. Then practice riding it a few times. The tops of the climbs will always correspond to the crescendos of the songs, but where you add more resistance and where you stand may change every time you use this song in a profile as you allow yourself the freedom to be inspired by the music. A few popular trance/dance artists to listen to are Tiesto, Armin van Buuren, Paul Oakenfold, Atmos, Paul van Dyke, and Hardwell. For longer tracks, look for the “club remixes” of their songs. Next: In addition to the two songs above, I have three favorite rolling hills songs, all of which are timeless classics. I will give you all three, along with the timing of the ascents, attacks, and descents, in this week’s Wednesday Timeless Classics. Do you have a favorite song you like to use for rolling hills? Please let us know in the comments! I LOVE this song! It has so much great energy, and I can see how it’s great for rolling hills. I’ll try it the next time I get on my bike. And of course, we’d love to hear the other 4 songs! by Hallucinogen on the album The Lone Deranger. Yes! I totally forgot about this one. 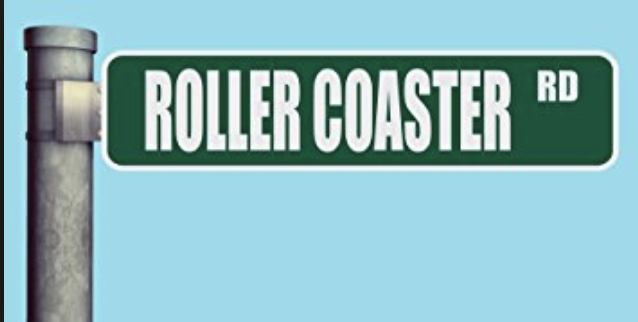 I use it in the Roller Coaster Ride for the really rolling fun part…doh! I should have thought about that when writing this article but being a mountain biking profile it didn’t cross my mind. But heck yeah, we do rollers on mountain bikes—in fact, a lot more than road bikes! Thanks for this profile Jennifer!! I had forgotten where I had gotten that song. When I saw your Roller Coaster Ride profile just now I realized that must be where I got it! 5 years ago! 🙂 Goes to show it’s one that has stood through the years as a great song as are so many other songs on that profile. Thanks for your inspiration and coaching for all these years!! You are welcome, and thanks for being a loyal ICA member for all these years! Also, this song too. Artist is Netsky, track is called Escape. I used this for a brisk hurry up climbing over a series rollers and flats in between. I coached it as if we are coming back from a day riding trip and need to get back to the car before it rains and we hit fast rollers but try to keep our pace up. Alternating resistance with releases based on the crescendos and breaks. you are welcome, thanks for the great song suggestions! Yes, you are right. Your interpration simple added variations to my profiles and surprised a bit the class (I always stick to the rhythm and all tracks in the playlist are always RPM corrected with MixMeister)..but in this way , I could simply fool rhythm for a while..and people really liked it! Thank a lot! There are some songs that enable pedaling to the beat for rolling hills. They’re not common but finding a 110 BPM song with soft / loud components work. The soft parts enables riders to climb at 55 RPMs, while the loud parts map to 110 RPM downhills. A few that I’ve used from the indie rock genre are Arcade Fire’s ‘Reflektor’ and Spoon’s ‘Pink Up’. ELO’s classic rock ‘10538 Overture’ also works. For those more partial to electronic music than rock, the soft / loud, uphill / downhill can use the drum machine as a guide. Eastern Sun’s ‘What Is’ from the IDM genre and d’Eon’s Qiyamah from the ambient world genre are good examples. I cheated on my homework since I had these answers already. My class loves Cake – Going the Distance for rolling hills. I’ve always thought this song is fun. How do you use it for rolling hills? Interesting..so far I’ve never tought as suggested for that song genre. I usually do some short high intensity effort starting after “breaks” in the songs /tahta are generally recovery times); “crescendos” and “releases” are the apex of the action (resistance loading till standing climb movment) and then again (next “break” will be a recover and so on..). But We could always change our prospective. Thank you for this suggestion! yes, excellent point Norberto. There are different ways to interpret the songs. I actually do it both ways. Especially in a simulation of a race such as a Tour de France stage, in some songs, the buildups in a trance song are where you glance around to see who might be the one attacking—it’s the period of slightly holding back until….the RELEASE! That’s when you attack and burst out of the saddle! In that case, I would use the song for a climb the whole way (matching the rpm to bpm), with attacks on every release. 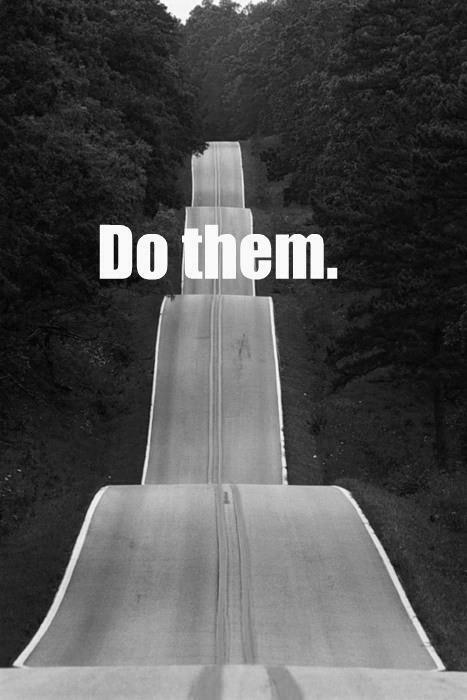 But for rolling hills, I can’t do the opposite. The “downhill” doesn’t seem to fit into the lower energy breaks or builds. Does that make sense?